Remember those old make-over movies where the boy takes off the girl’s glasses and it turns out she was beautiful all along? (#chauvinism #superficial) Well its time to take the proverbial glasses off your living room and let its hair down, because it can be beautiful if you just give it a chance. We’ve partnered up with Stockland to bring you six affordable, yet luxe ways to gain some style cred. 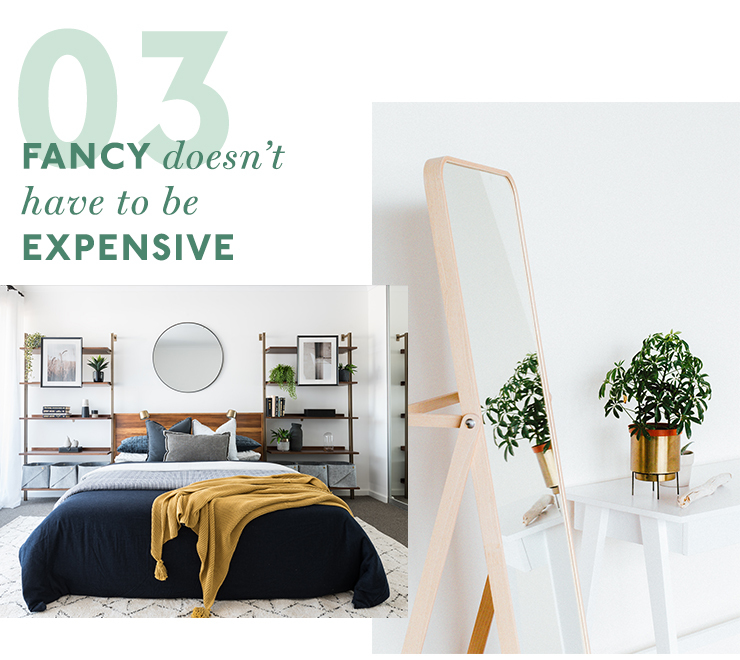 Stockland’s new Calleya Visage Townhome makes for the perfect backdrop for dabbling in the interior design world, and starting from $399,000 they make the launch into home ownership a whole lot more affordable. Architecturally designed by Hames Sharley and built by Dale Alcock Homes, there are a heap of terrace-style homes to choose from (including the Cusp and the Bower) which feature stunning finishes, including stone benchtops, engineered timber flooring and reverse cycle airconditioning. Plus, there's an adventure park for your pooch...life doesn't get better than this guys! 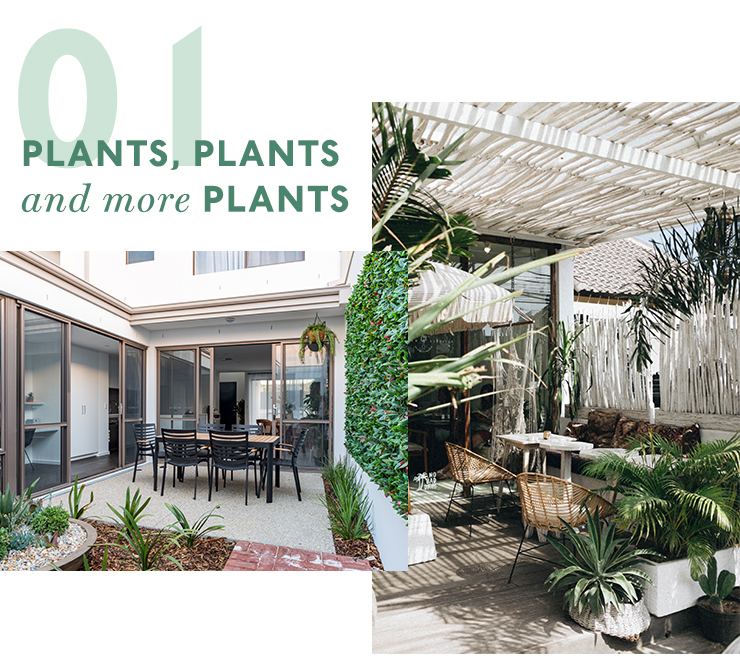 In case you’ve been living under a rock for the last three years, a good selection of indoor plants is everything in life (we’re not joking), you just have to check out everything that’s trending this year to see why. We are obsessed with marimo moss balls and polka dot begonias, but we’ll always have a soft spot for the old fiddle leaf fig and mother in law’s tongue. Are you a serial plant killer? It’s no problem, we’ve got you covered, and if you need pooch-friendly plants here’s everything you need to know. We hit up these incred indoor plant stores on the reg for all our indoor plant needs. Waffle, knits, velvet, leather, wood and marble—the more textures, the better, just so long as everything is complimentary. Add faux fur cushions for a hint of hygge cosiness, rattan chairs for relaxed holiday vibes, organic elements like dried flowers to bring a little nature indoors and get playful with bold patterns. If you want more inspo check out the Calleya Visage terrace homes IRL where each display home has been fitted out by an interior designer. We're quite partial to the Garden Oasis (for all of the plant vibes obvs), but if you're into a little more refined opulence the Urban Luxe has your name all over it. You just have to walk around Kmart for a few minutes to know that this is true. Rose gold rimmed clocks, marble-topped side tables and plush furnishings can all be found for a smidgeon of the price these days. Add a few fancy touches to a room and you’ll have Vogue Living knocking down your door in no time. Make like Marie Kondo and de-clutter your home like a boss. 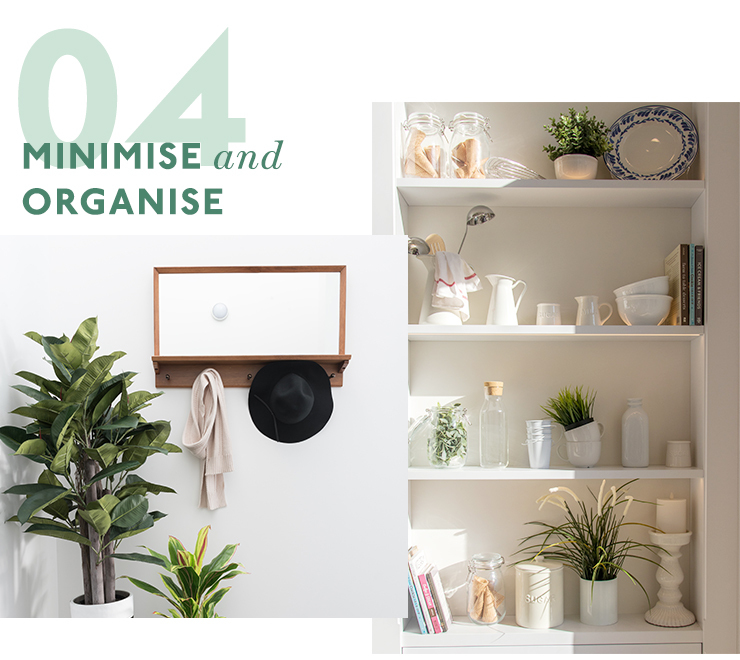 Minimalism is all the rage right now, and for good reason, it makes us happier, our homes cleaner and helps us save money for the things most important to us (e.g. moving out of your rental once and for all). Take it room by room and remove anything that’s no longer of use to you, organising as you go. For an extra style infusion, colour code your bookshelves! 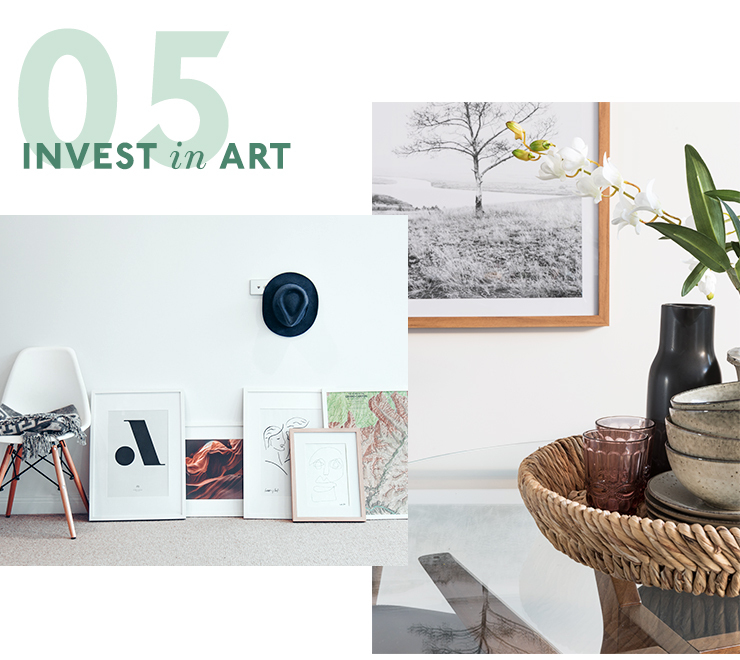 When we say invest, we don’t mean spending thousands of dollars on an original artwork by Damien Hirst (we’re not made of money over here), but a couple of hundred dollars can go a long way to lifting your style game at home. When making your selections you want to take into account size, frames and wall space, as well as choosing works that compliment the room. Check out TWFINEART, Anya Brock and Salty Wings for some inspo! Rugs are more than just noise dampeners; they bring a room together! 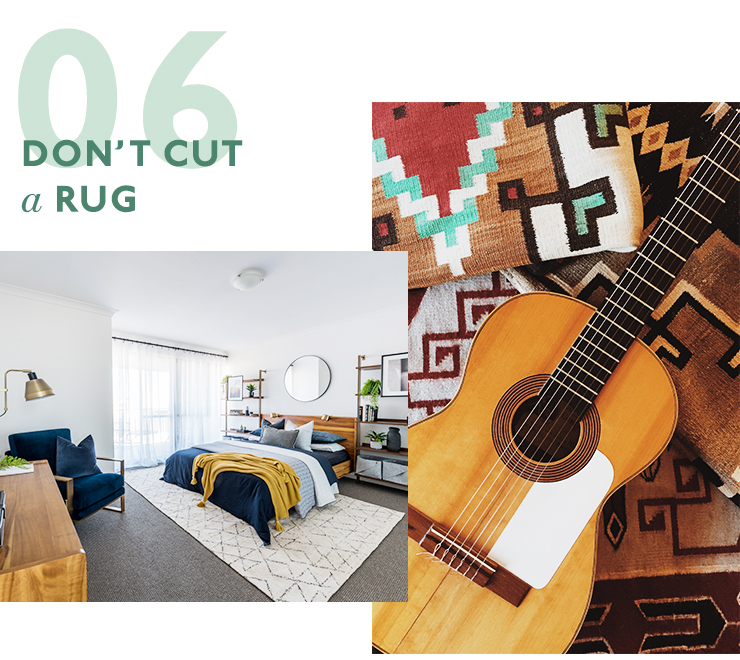 There are, however, a few commandments you need to follow when using rugs. Be sure to buy the right size, your rug should always overlap with furniture, the bigger the better really as this can make rooms look on the larger side. 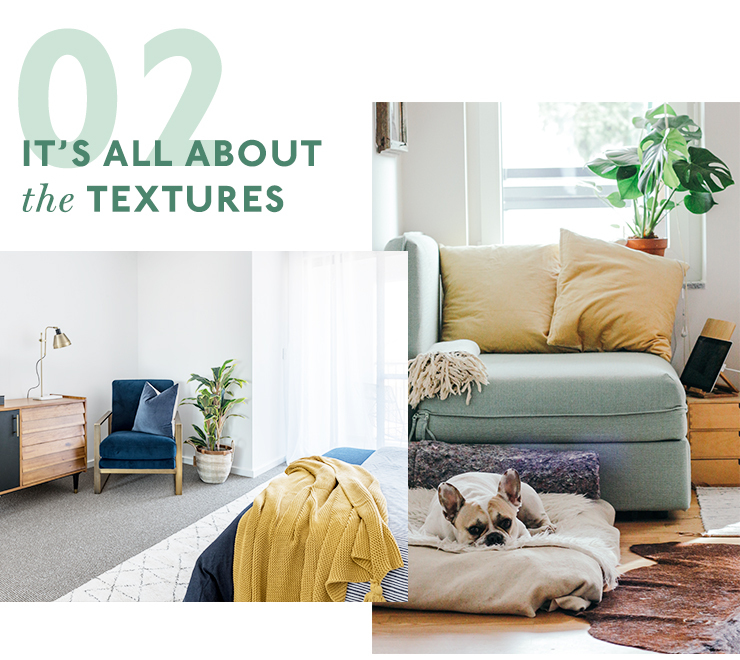 Also, don’t steer away from some rug layering action, so long as the colours and textures compliment each other you’re sweet. And consider pile—you don’t want a thick shag rug causing tripping hazards in a hallway. For a whole lot more inspiration, book a private tour of the Calleya Visage Townhomes today! Editor’s note: this article was produced in partnership with Stockland. Thank you for supporting the partners who make The Urban List possible. To read our editorial policy, click here.